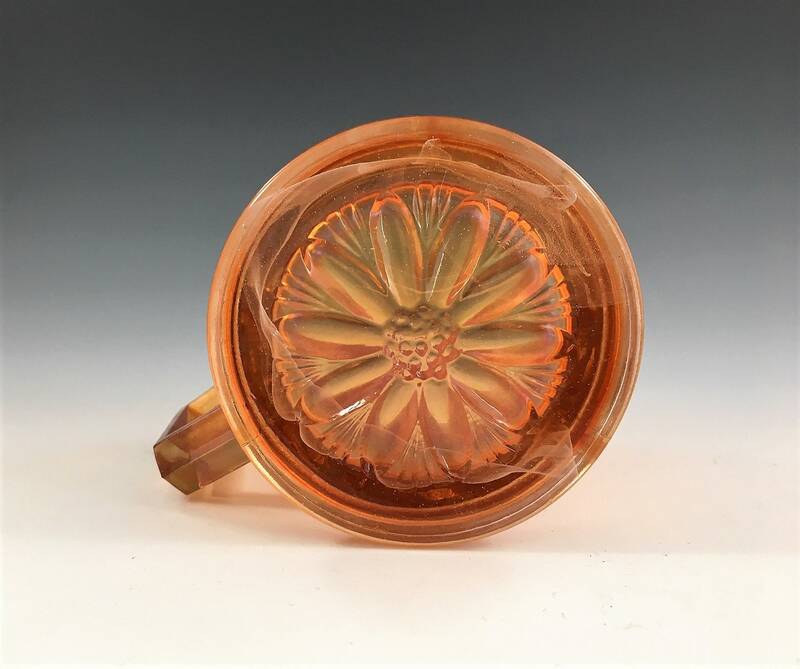 Featured is a beautiful piece of classic Carnival Glass. 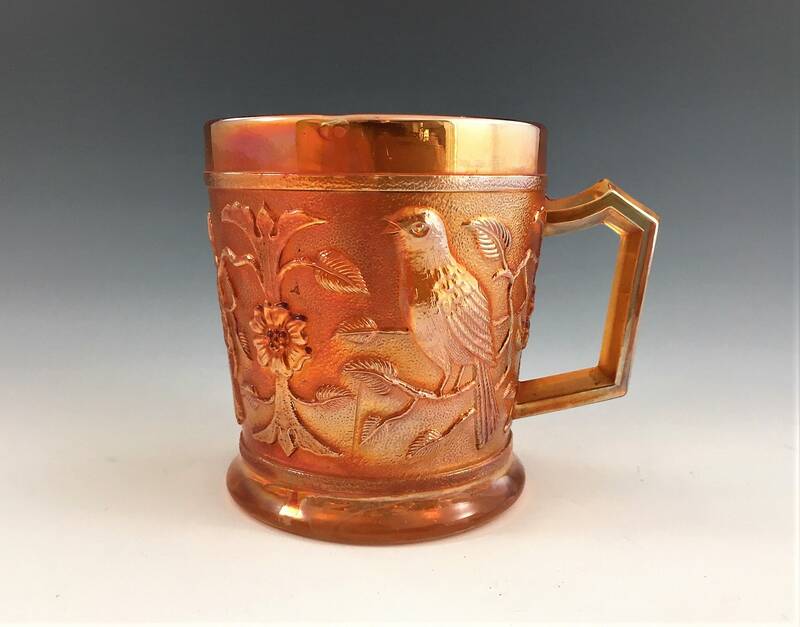 This Robin Mug is from the Imperial Glass Company and was produced in the 1920s. It measures about 3 1/2 inches tall and 3 inches in diameter at the rim. 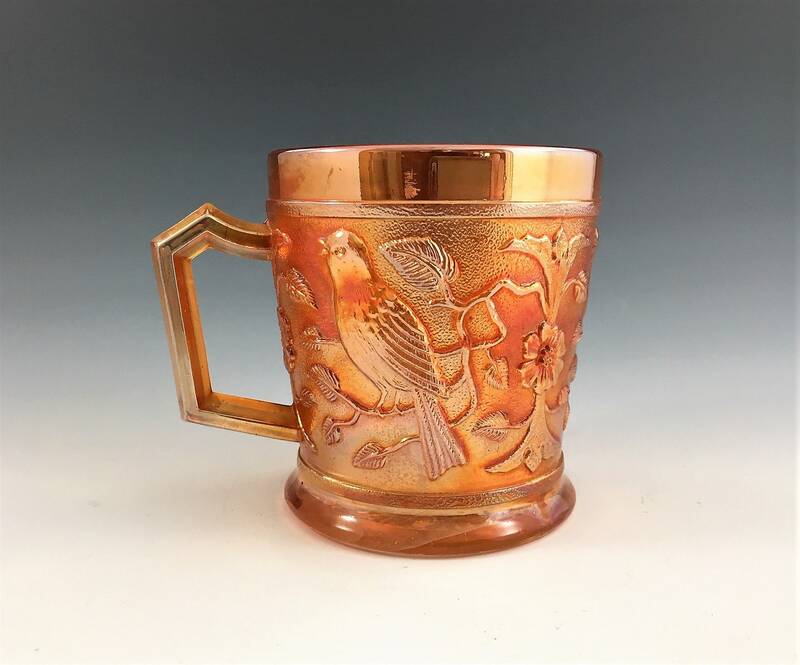 The cup has a singing bird motif that repeated three times around the cup's perimeter. 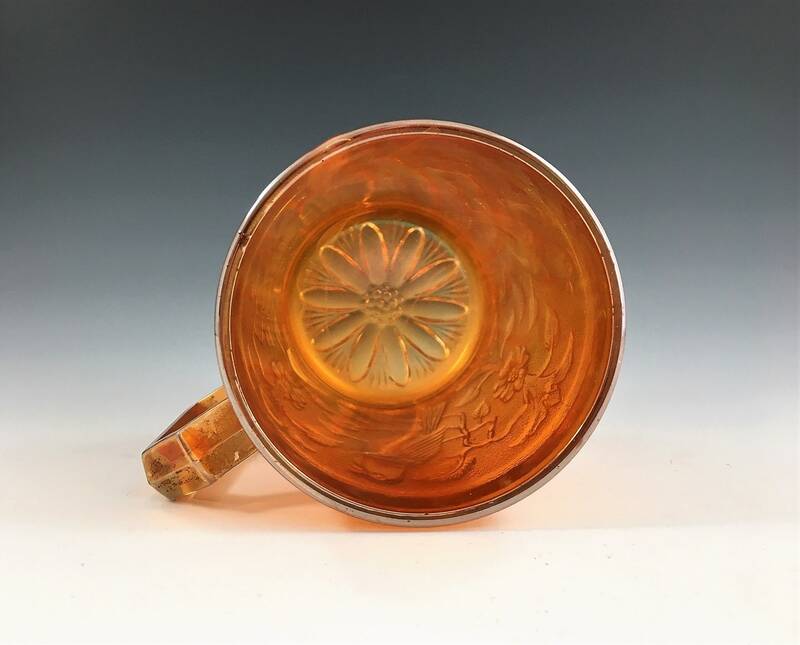 The piece is in excellent condition with no chips or cracks. Note the wisp of cloudiness within the base that may have been caused by a dirty tank during manufacture.